For $0 down payment, a total of $2,013.99 will be financed with equal payments of $34/month with no interest for 60 months. Estimated based on initial lease payment of $42.87 plus 78 weekly lease payments, not including sales tax or any optional delivery, warranty, or liability damage waiver (LDW) fees. 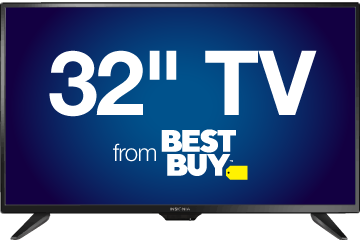 Unless you exercise your early purchase option, your total cost of ownership will be $3,343.86, not including tax or any optional delivery, warranty, or LDW fees. 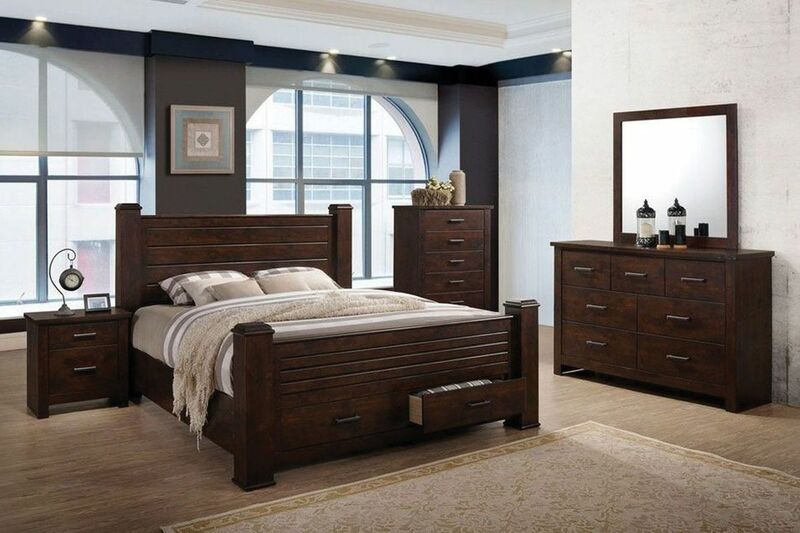 The Archer Collection is beautifully made and gives you that dark wood style. 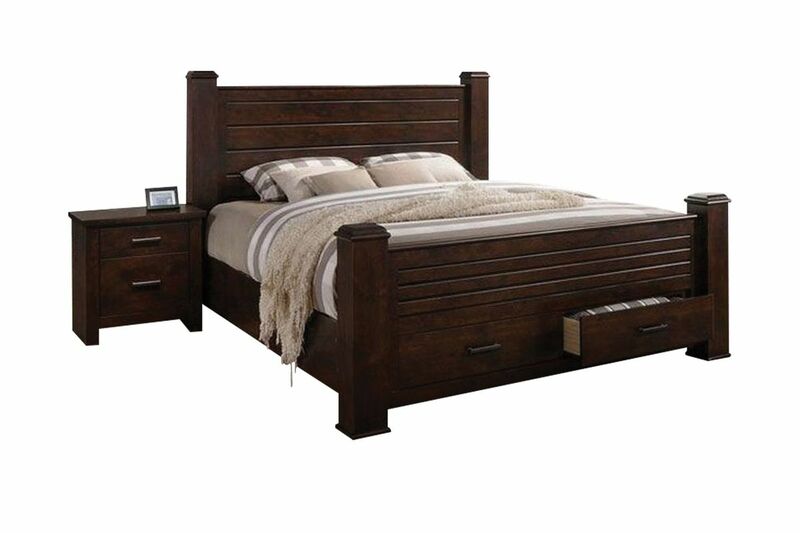 The headboard and footboard has a paneling design and are put together by block posts. 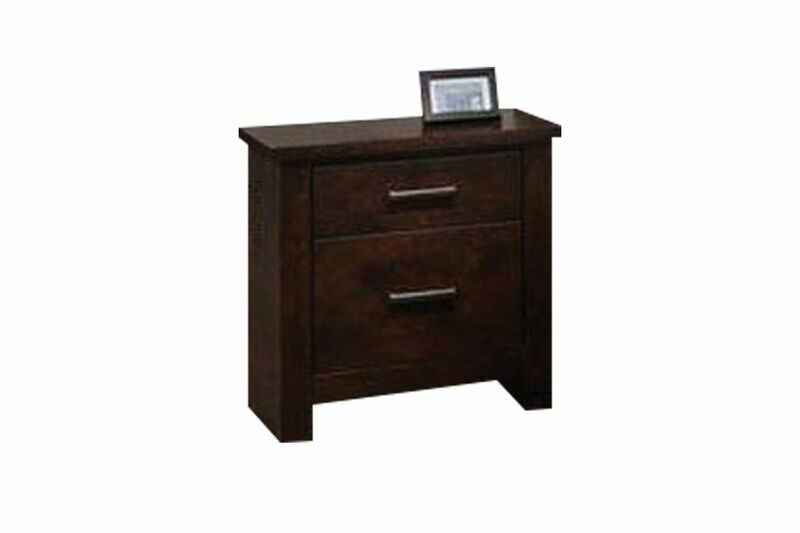 The footboard features two drawers for extra storage! 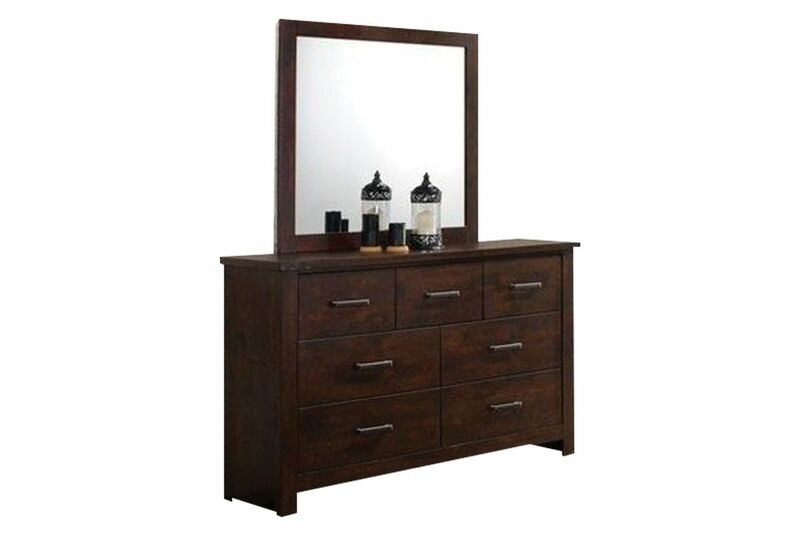 The dresser, chest and nightstand include spacious drawers with metal handles. You'll love the simple and elegant design of the Archer Collection and find that it works with existing designs of your bedroom.